Are you living without a smile on your face or in your heart? 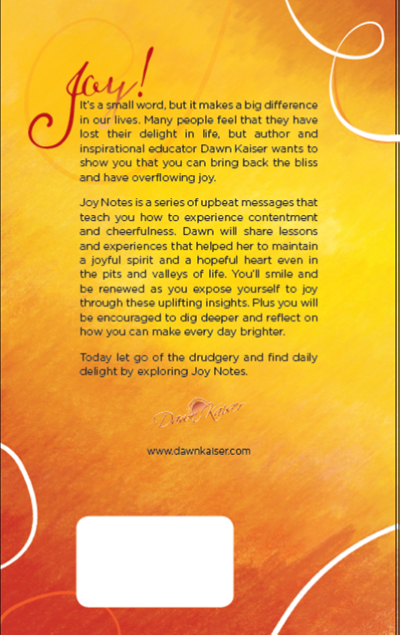 Are you letting people and circumstances drain you of your joy in life? 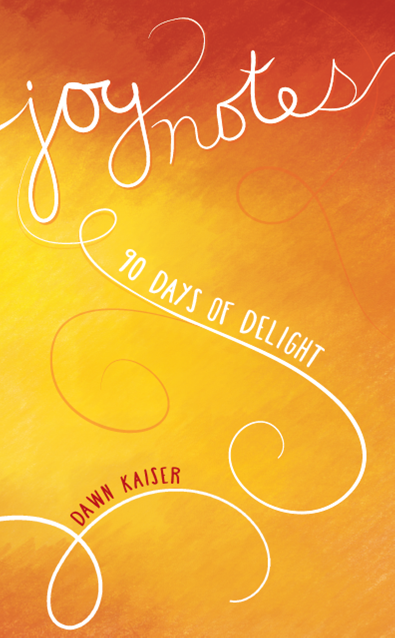 Dawn Kaiser is learning that in both the peaks and the pits of life, joy can be found. We just need to cultivate our minds and hearts to see it. Know how to bring back the bliss in your life. Find peace in your most difficult days. Order your copy today! Order online or download pdf order form here.